Everyone has a favourite film, whether it’s a mushy Rom-Com or an Action Thriller, they bring stories into our lives and create characters you remember forever. 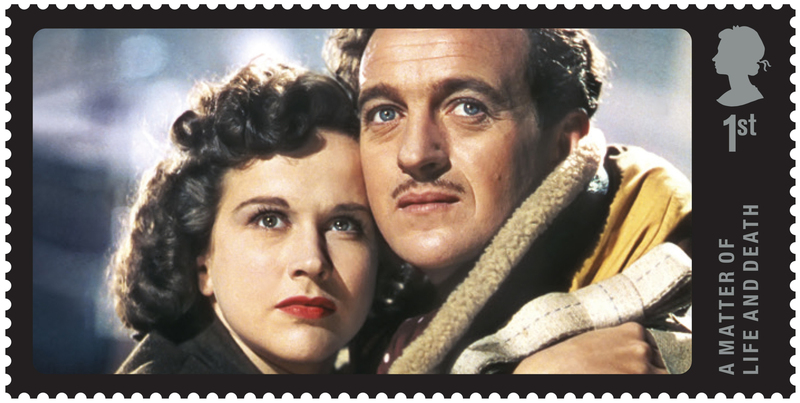 Many different aspects of the film industry have been portrayed on stamps; here are just a few examples. 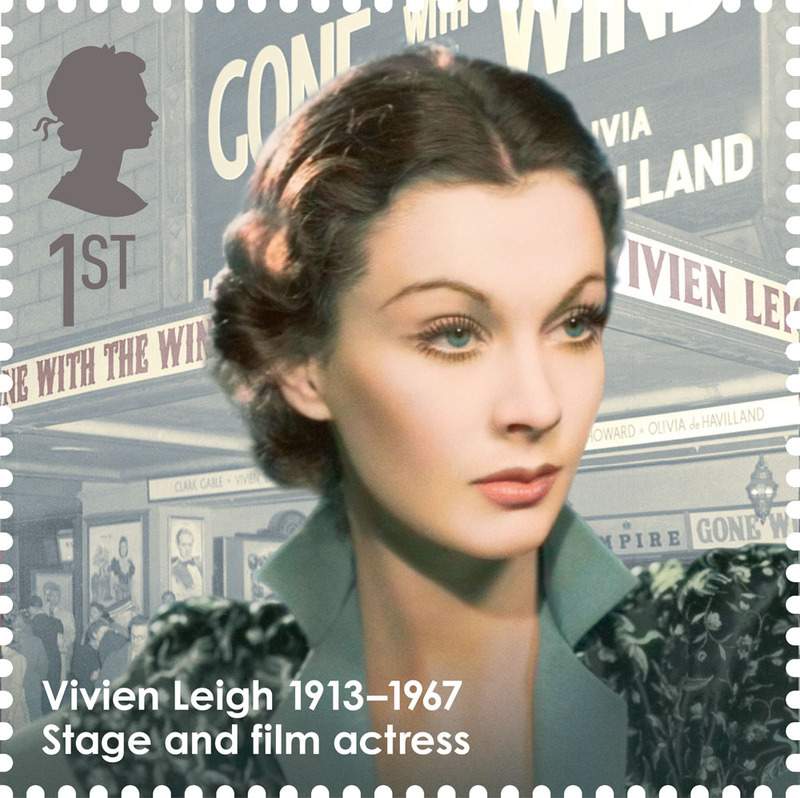 Iconic film legends have appeared on stamps over the years including English born actress Vivien Leigh, best known for her academy awarding winning role as Scarlett O’Hara in ‘Gone with the Wind’ (1939). Leigh has actually appeared twice; once in 1985 for ‘Great British Film’ and again in ‘Great Britons’ from 2013. David Niven has also featured in his role as Peter Carter in ‘A Matter of Life and Death’ 1946, where after falling from a Lancaster bomber without a parachute, he argues his case in court to remain on earth. Niven also played British spy James Bond in the independent 1967 spoof of Casino Royale. 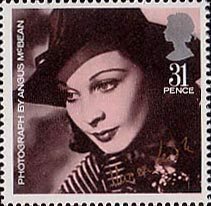 Many films are adapted or based on books or plays and stamps throughout the years have commemorated both films and their inspirations. The Rocky Horror Show was initially a book created by Richard O’Brien transferred to the stage and finally made into a film in 1975 featuring Tim Curry. The Harry Potter Novels have been hugely popular in recent years documenting the childhood of one boy wizard and his friends. Now made into eight films it is a huge franchise with its own theme park in Orlando. 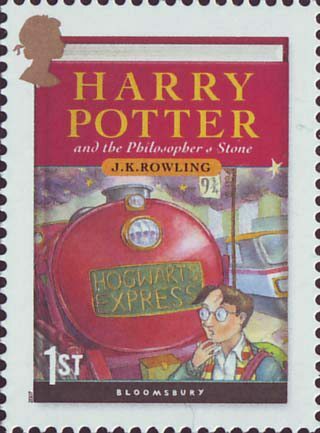 The above stamp from 2007 features the first book cover, ‘The Philosopher’s Stone’. 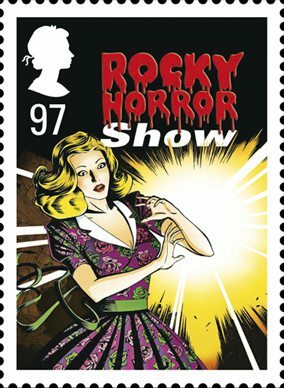 Stamps also celebrate the films themselves, appealing to all ages. 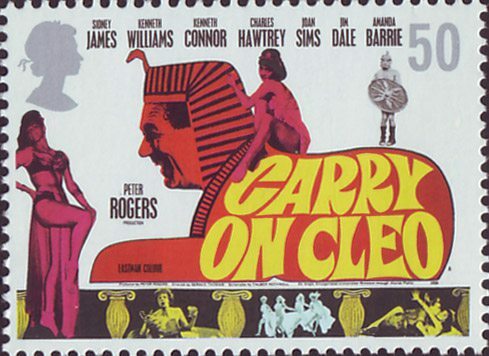 The above stamp ‘Carry On Cleo’ from 2008 references the huge Carry On franchise synonymous with British humour. 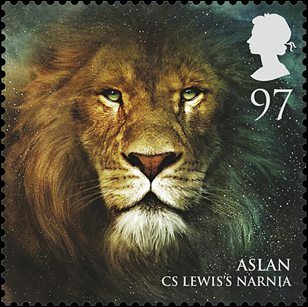 C.S.Lewis’ fantastical Chronicles of Narnia novels have been made into 3 movies, with key characters featuring in 2011’s Magical Realms issue. 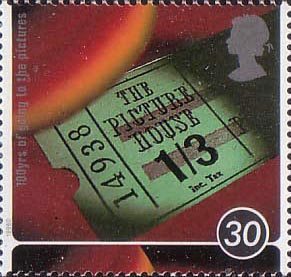 Contemporary cinema also appears in stamp design. 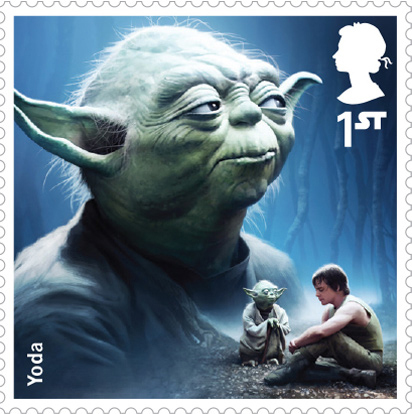 October saw the release of Royal Mails commemorative stamps to celebrate the new Star Wars movie. New and old characters are depicted alongside iconic spacecraft like the Millennium Falcon. Many films are created by talented producers and writers. Alfred Hitchcock is probably recognized as the greatest British filmmaker, directing ‘To Catch a Thief’, ‘North by Northwest’ and his infamous ‘Psycho’. He was nicknamed ‘The Master of Suspense’ and made many cameo appearances in his movies. 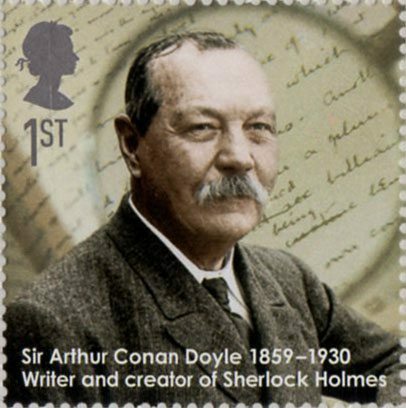 Writers like Arthur Conan Doyle have had their literary creations celebrated on stamps. 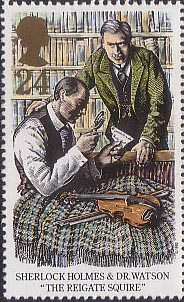 Doyle’s most iconic character Sherlock Holmes had his own stamp issue in 1993. Holmes has been portrayed in many films by the likes of; Christopher Lee, Basil Rathbone and most recently Robert Downey Jr. 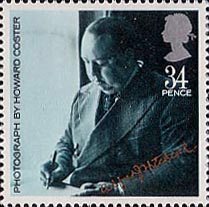 The influence of film making is wide reaching and will inevitably continue to be a key theme in stamp design. The characters and actors are easily recognisable, creating a fun and interesting way of celebrating our favourite films. I wonder what movie will appear next…..